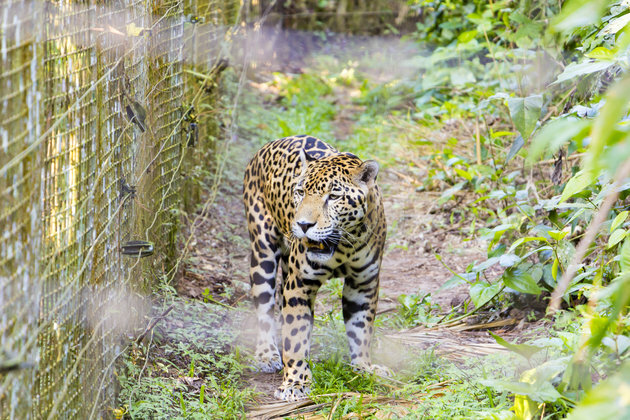 Did you know that Belize has its very own Zoo? Yes, we do! 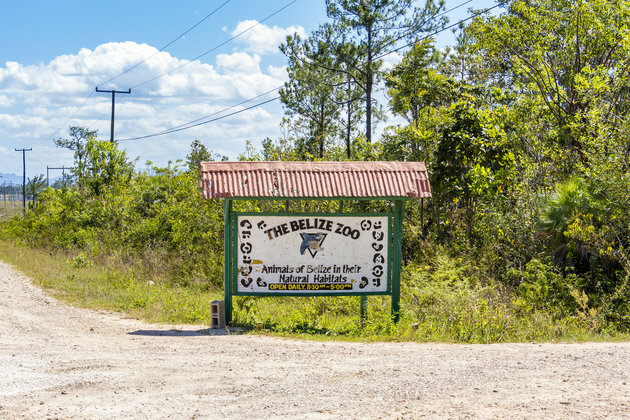 Located about 29 miles west of Belize City (about 45 minutes by road), the Belize Zoo and Tropical Education Center receives over 68,000 visitors annually, with 15,000 being students, teachers, and parents. 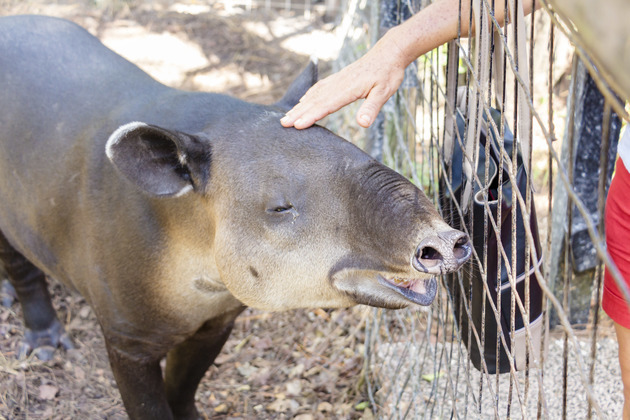 The Zoo focuses on educating visitors about the wildlife of Belize through encountering the animals in their natural habitat and encourages appreciation, pride, and a desire to protect and conserve Belize's natural resources. 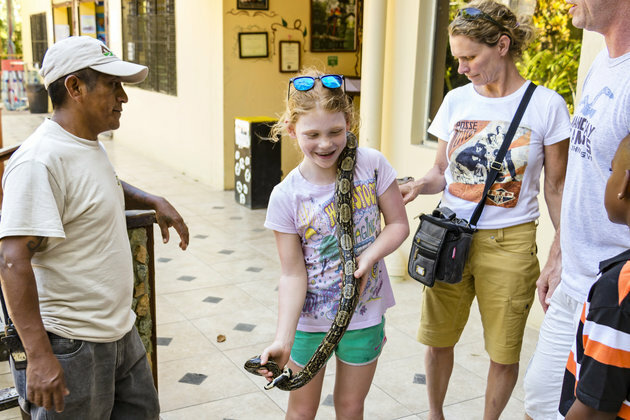 Known locally as “the best little zoo in the world,” the Belize Zoo (started in 1983), opens daily from 8:30 am to 5:00 pm and exhibits more than 175 animals, of about 45 species that are native to Belize. The zoo keeps animals which were orphaned, rescued, born at the zoo, rehabilitated or donated by other zoological institutions. 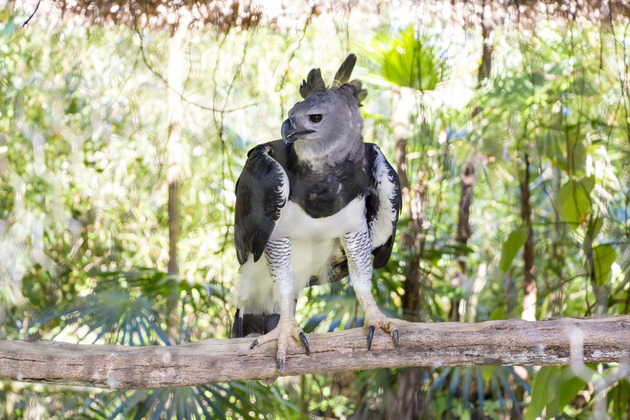 Harpy Eagles are considered to be one of the world's largest eagles and has hind talons that can be as large as those of a grizzly bear. These birds are found from South-Eastern Mexico to Northern Argentina and Southern Brazil. This bird prefers large expanses of uninterrupted forest, but will hunt in open areas near to their territory. 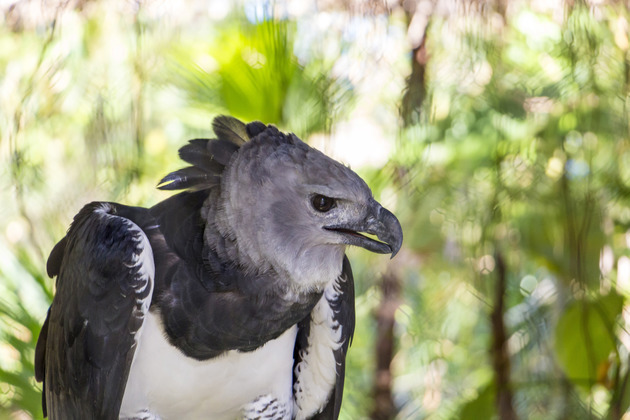 Harpy Eagles are highly manoeuvrable fliers and strike their prey after rapid pursuit through the forest canopy. 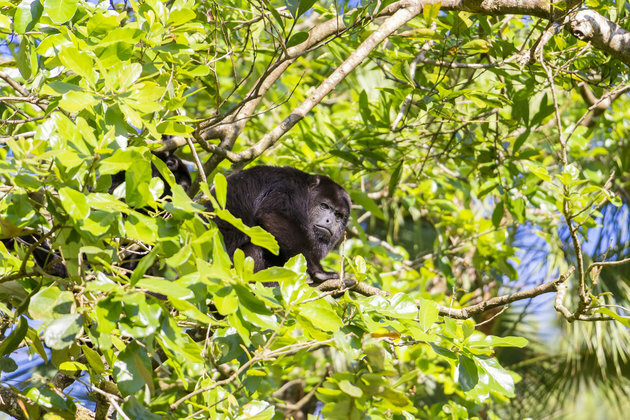 The Black Howler Monkey, known as the "baboon" in Belize, is the largest monkey in Belize and one of the largest in the Americas. Howler monkeys are vegetarians, feeding on flowers, fruits and leaves. Their howl is one of the loudest animal sounds in the tropical forest of Belize. 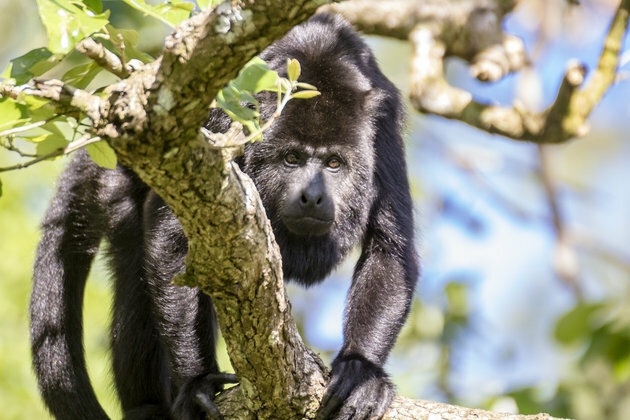 Throughout most of its range, the Howler Monkey is endangered from hunting and habitat destruction. Fortunately, Belize has a healthy population of these loudest of primates. 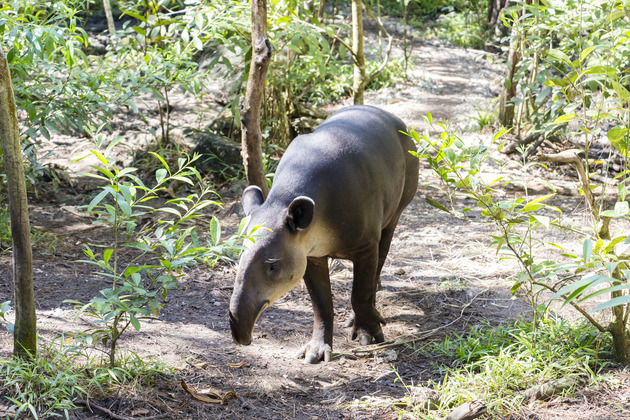 The tapir, known as the "mountain cow" in Belize, are forest dwellers, active mostly at night as they forage along river banks and forest clearings. They feed on grasses, aquatic vegetation, leaves, buds, and fruits of the low-growing shrubs. Tapirs are excellent swimmers, spending a fair amount of time in forest rivers. They are also agile climbers, crashing up steep hillsides and river banks with apparent ease. The Baird’s Tapir ranges from Southern Mexico to Northern Columbia and are endangered throughout their range. The Keel-Billed Toucan, known as the "bill bird" locally, is the national bird of Belize. The most obvious characteristic of the toucan is the huge yellow, orange, red, green and black bill. 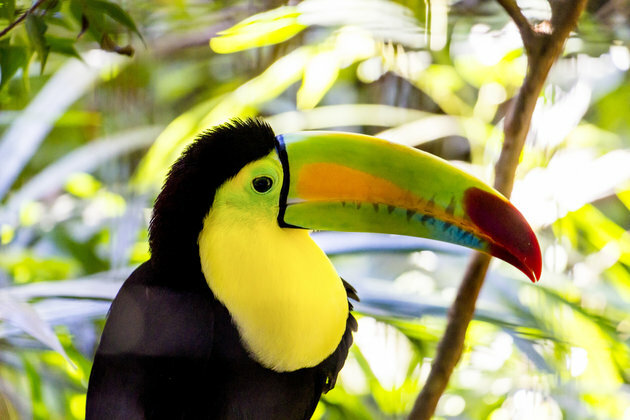 Keel-Billed Toucans are found throughout Belize's forests and nest in holes in tree trunks. They are primarily fruit eaters, feeding on a wide variety of tropical fruits of the forest; it feeds by snipping off the fruit and flipping its head back to gulp the fruit. 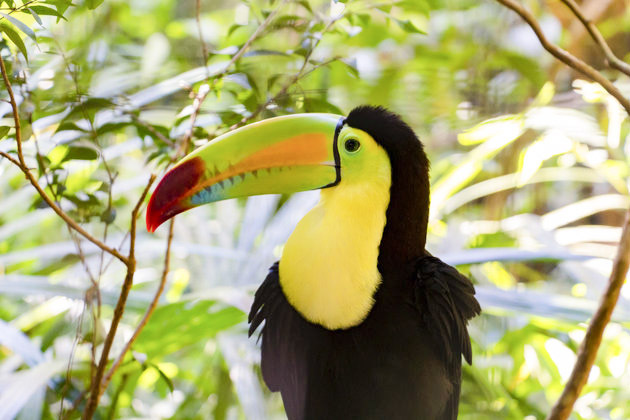 Toucans will also feed on insects, lizards, snakes and even the eggs of smaller birds. Jaguars are the largest and most powerful cat in the Western Hemisphere, and the third largest of the roaring cats. They are found throughout Belize in the lowland forests and along the coasts. Like leopards, jaguars may also be born with melanistic (black) coats, though the rosette patterns are still visible below. These cats are commonly referred to as "panthers," but do not differ from normal jaguars in species. 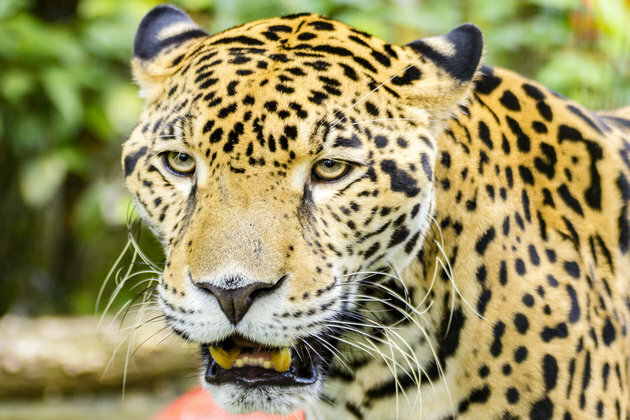 Belize has one of the healthiest populations in Central America, and the Jaguar is protected from hunting throughout Belize. 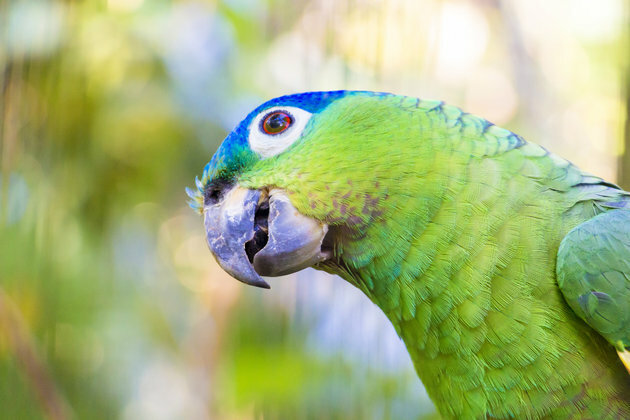 The Mealy or Blue-head Parrot, is among the largest parrot in the Amazona genus - the amazon parrots. It is a mainly green parrot that can be found throughout tropical Central and South America. The mealy is social and can be found in pairs or in large flocks. They are even known to interact with other parrots, such as macaws. They are usually quiet but can be loud at dusk and dawn. This particular parrot (above), really captured our attention, as it kept following us around its enclosure and cocking its head from side-to-side as if encouraging us to take its photo; definitely a more photogenic bird than we had imagined. The entrance fees for non-locals are $15.00 USD for Adults and $5.00 USD for Children ages 3-12 years. On-site is a gift shop where you can purchase t-shirts, books and souvenirs, and a restaurant where you can purchase meals, snacks and drinks. 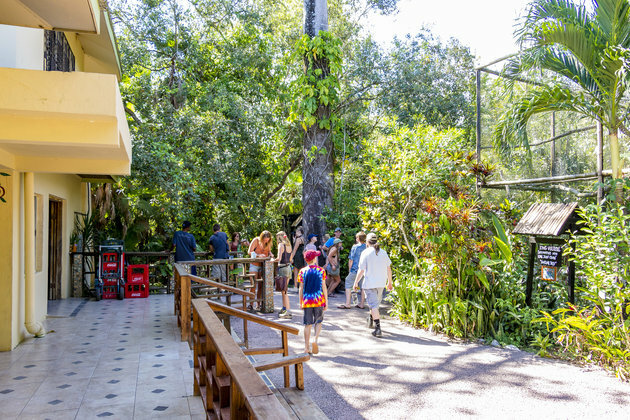 The Tropical Education Center/ Zoo lodge, is located about a mile across the road fro the zoo and provides accommodations, meals, showers, a natural history library and a lecture hall. Activities include river canoe trips, hokes, and bird-watching for families, student groups, backpackers, campers and more. If you’re interested in getting closer with some of the animals, you can also book a night tour or animal encounter in advance by sending an email to frontdesk@belizezoo.org. 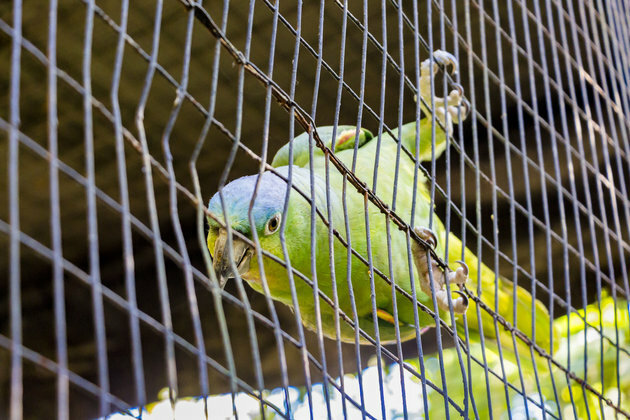 A visit to the zoo is the best way to get an introduction to the animals of Belize and to understand why it is important to protect the habitats that sustain them. Why not book a stop to the zoo on your next visit to Belize? 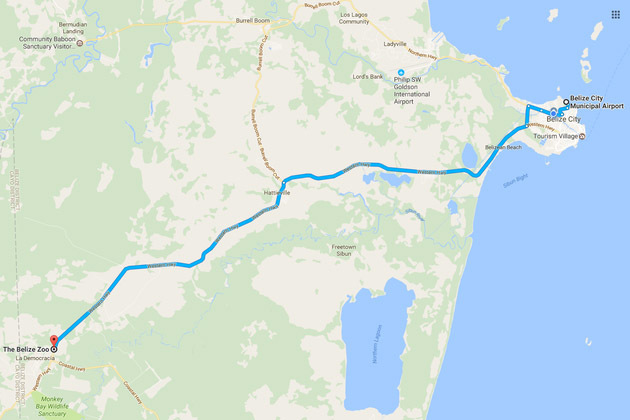 Maya Island Air can get you to Belize City for your road-trip to the zoo, from several destinations across the country including San Pedro and Punta Gorda. We take this time to extend a special thanks to the Belize Zoo and their team. Keep up the great work! *Portions of this blog reproduced from the Belize Zoo webpage. *Photo credit: Andrew Usher. Our official in-flight magazine – Caribbean Culture and Lifestyle: The Belize Edition, is revealed! Introducing Maya’s Official In-flight Magazine – Caribbean Culture and Lifestyle.